The architecture of the Song dynasty (960–1279) was noted for its towering Buddhist pagodas, enormous stone and wooden bridges, lavish tombs, and extravagant palaces. Although literary works on architecture existed beforehand, architectural writing blossomed during the Song dynasty, maturing into a more professional form that described dimensions and working materials in a concise, organized manner. In addition to the examples still standing, depictions in Song artwork, architectural drawings, and illustrations in published books all aid modern historians in understanding the architecture of the period. The professions of architect, master craftsman, carpenter, and structural engineer did not have the high status of the Confucian scholar-officials during the dynastic era. Architectural knowledge had been passed down orally for thousands of years, usually from craftsman fathers to their sons. There were also government agencies and schools for construction, building, and engineering. The Song dynasty's building manuals aided not only the various private workshops, but also the craftsmen employed by the central government. The Song dynasty (960–1279 AD) was a culturally rich and sophisticated age for China. There was blossoming of and advancements in the visual arts, music, literature, and philosophy. Officials of the ruling bureaucracy, who underwent a strict and extensive examination process, reached new heights of education in Chinese society, while general Chinese culture was enhanced by widespread printing, growing literacy, and various arts. Appreciation of art among the gentry class flourished during the Song dynasty, especially in regard to paintings, which is an art practiced by many. Trends in painting styles amongst the gentry notably shifted from the Northern (960–1127) to Southern Song (1127–1279) periods, influenced in part by the gradual embrace of the Neo-Confucian political ideology at court. People in urban areas enjoyed theatrical drama on stage, restaurants that catered to a variety of regional cooking, lavish clothing and apparel sold in the markets, while both urban and rural people engaged in seasonal festivities and religious holidays. Emperor Renzong of Song (30 May 1010 – 30 April 1063, Chinese calendar: 14 April 1010（the 3rd year of Dazhongxiangfu, 大中祥符三年） - 29 March 1063 (the 8th year of Jiayou, 嘉祐八年)), personal name Zhao Zhen, was the fourth emperor of the Song dynasty in China. He reigned for about 41 years from 1022 to his death in 1063, and was the longest reigning Song dynasty emperor. He was the sixth son of his predecessor, Emperor Zhenzong, and was succeeded by his cousin's son, Zhao Shu who took the throne as Emperor Yingzong because his own sons died prematurely. His original personal name was Zhao Shouyi but it was changed by imperial decree in 1018 to "Zhao Zhen", which means 'auspicious' in Chinese. The History of Song or Song Shi (Sòng Shǐ) is one of the official Chinese historical works known as the Twenty-Four Histories of China that records the history of the Song dynasty (960–1279). It was commissioned in 1343 and compiled under the direction of First Minister Toqto'a and Prime Minister Alutu (阿鲁图/阿魯圖) during the Yuan dynasty (1279–1368) at the same time as the History of Liao and the History of Jin. Running to a total of 496 chapters, the History of Song includes biographies of the Song Emperors along with contemporary records and biographical sketches of Song dynasty politicians, soldiers and philosophers. The Jin–Song Wars were a series of conflicts between the Jurchen Jin dynasty (1115–1234) and Han Chinese Song dynasty (960–1279). In 1115, Jurchen tribes rebelled against their overlords, the Khitan Liao dynasty (907–1125), and declared the formation of the Jin. Allying with the Song against their common enemy the Liao dynasty, the Jin promised to return to the Song the Sixteen Prefectures that had fallen under Liao control since 938. The Chinese agreed but Jurchens quick defeat of the Liao dynasty combined with Song dynasty military failures made the Jin reluctant to cede these territories. After a series of negotiations that embittered both sides, the Jurchens attacked the Song dynasty in 1125, dispatching one army to Taiyuan and the other to Bianjing (modern Kaifeng), the Song capital. Surprised by news of an invasion, Song general Tong Guan retreated from Taiyuan, which was besieged and later captured. As the second Jin army approached the capital, Song emperor Huizong abdicated and fled south. Qinzong, his eldest son, was enthroned. The Jurchens laid siege to Kaifeng in 1126, but Qinzong negotiated their retreat from the capital by agreeing to a large annual indemnity. Qinzong reneged on the deal and ordered Song forces to defend the prefectures instead of fortifying the capital. The Jin resumed war and again besieged Kaifeng in 1127. They captured Emperor Qinzong of Song, many members of the imperial family and high officials of the Song imperial court in an event known as the Jingkang Incident. This separated north and south China between Jin and Song. Remnants of the Song imperial family retreated to southern China and, after brief stays in several temporary capitals, eventually relocated to Lin'an (modern Hangzhou). The retreat divided the dynasty into two distinct periods, Northern Song and Southern Song. The Jurchens tried to conquer southern China in the 1130s, but were bogged down by a pro-Song insurgency in the north and a counteroffensive by Song generals Yue Fei, Han Shizhong, and others. The Song generals regained some territories but retreated on the orders of Southern Song emperor Gaozong, who supported a peaceful resolution to the war. The Treaty of Shaoxing (1142) set the boundary of the two empires along the Huai River, but conflicts between the two dynasties continued until the fall of the Jin in 1234. A war against the Song begun by 4th Jin emperor, Wanyan Liang, was unsuccessful. He lost the Battle of Caishi (1161) and was later assassinated by his own disaffected officers. An invasion of the Jin motivated by Song revanchism (1206–1208) was also unsuccessful. A decade later, the Jin launched an abortive military campaign against the Song in 1217 to replace territory they had lost to the invading Mongols. The Song allied with the Mongols in 1233, and in the next year jointly captured Caizhou, last refuge of the Jin emperor. The Jin dynasty collapsed that year in 1234. After the demise of the Jin, the Song dynasty itself became a target of the Mongols, and collapsed in 1279. The wars engendered an era of technological, cultural, and demographic changes in China. Battles between the Song and Jin brought about the introduction of various gunpowder weapons. The siege of De'an in 1132 was the first recorded use of the fire lance, an early ancestor of firearms. There were also reports of battles fought with rudimentary gunpowder bombs like the incendiary huopao or the exploding tiehuopao, incendiary arrows, and other related weapons. In northern China, Jurchens were the ruling minority of an empire predominantly inhabited by former subjects of the Song. Jurchen migrants settled in the conquered territories and assimilated with the local culture. The Jin, a conquest dynasty, instituted a centralized imperial bureaucracy modeled on previous Chinese dynasties, basing their legitimacy on Confucian philosophy. Song refugees from the north resettled in southern China. The north was the cultural center of China, and its conquest by the Jin diminished the regional stature of the Song dynasty. The Southern Song, however, quickly returned to economic prosperity, and trade with the Jin was lucrative despite decades of warfare. Lin'an, the Southern Song capital, expanded into a major city for commerce. On boats and ships, the keel is either of two parts: a structural element that sometimes resembles a fin and protrudes below a boat along the central line, or a hydrodynamic element. These parts overlap. As the laying down of the keel is the initial step in the construction of a ship, in British and American shipbuilding traditions the construction is dated from this event. Only the ship's launching is considered more significant in its creation. The word can also be used as a synecdoche to refer to a complete boat, such as a keelboat. The Song dynasty (960–1279) was an imperial dynasty of China that succeeded the period referred to as Five Dynasties and Ten Kingdoms period (907–960) and preceded the Yuan dynasty (1271–1368), which conquered the Song dynasty in 1279. The conventional division into the Northern Song dynasty (960–1127) and Southern Song dynasty (1127–1279) is created by the conquest of northern China by the Jin dynasty (1115–1234) in 1127 and the consequent shift of the capital from Bianjing (present-day Kaifeng) in the north to Lin'an (present-day Hangzhou) in the south. Below is a complete list of emperors of the Song dynasty, including their temple names, posthumous names, given names, and era names. The dynasty was founded by Zhao Kuangyin, who became Emperor Taizu (r. 960–976) and concluded with the death of Zhao Bing (r. 1278–1279). The last emperor of the Northern Song was Emperor Qinzong (r. 1126–1127), while the first Southern Song emperor was Emperor Gaozong (r. 1127–1162). The emperor, or huangdi, was the supreme head of state during the imperial era of China (221 BC – 1912), including the Song dynasty. He was a hereditary ruler who shared executive powers with civilian officials appointed to various levels of office according to their performance in bureaucratic examinations. The growing importance of the civilian bureaucracy and national gentry class during the Song dynasty led to a much more limited role for the emperor in shaping public policy, although he still maintained his autocratic authority. He had the sole right to establish new laws, although he was expected to respect legal precedents set forth by previous emperors of his dynasty. The Song dynasty (), better known as the Liu Song dynasty (420–479 CE; simplified Chinese: 刘宋; traditional Chinese: 劉宋; pinyin: Liú Sòng; Wade-Giles: Liu Sung), also known as Former Song (前宋) or Southern Song (南宋), was the first of the four Southern Dynasties in China, succeeding the Eastern Jin and followed by the Southern Qi. The dynasty was founded by Liu Yu (劉裕) (363–422), whose surname together with "Song" forms the common name for the dynasty, the Liu Song. This appellation is used to distinguish it from a later dynasty of the same name, the Song dynasty (960–1279, ruled by the House of Zhao). Although the Liu Song has also at times been referred to as the "Southern Song", the name is now mainly used to refer to the Song dynasty after 1127. The Liu Song was a time when there was much internal turmoil. A number of emperors were incompetent and/or tyrannical, which at least partially led to many military revolts. These rulers include Liu Shao, Emperor Xiaowu, Emperor Qianfei, Emperor Ming, and Emperor Houfei. Emperor Ming was especially vicious, murdering a large number of his brothers, nephews, and other male relatives — many of them children. Such internal instability eventually led to the dynasty's destruction. However, its founder Emperor Wu was considered one of the greatest generals during the Southern and Northern Dynasties period, and the reign of its third emperor, Emperor Wen, is known for its political stability and capable administration, not only of its emperor but its strong and honest officials. This is known as the Reign of Yuanjia (425–453) and one of the relative golden ages for the Southern Dynasties. The Mongol conquest of the Song dynasty under Kublai Khan (r. 1260–1294) was the final step for the Mongols to rule the whole of China under the Yuan dynasty (Mongol Empire). It is also considered the Mongol Empire's last great military achievement. The Song dynasty (Chinese: 宋朝; 960–1279 CE) provided some of the most significant technological advances in Chinese history, many of which came from talented statesmen drafted by the government through imperial examinations. The ingenuity of advanced mechanical engineering had a long tradition in China. The Song engineer Su Song admitted that he and his contemporaries were building upon the achievements of the ancients such as Zhang Heng (78–139), an astronomer, inventor, and early master of mechanical gears. The application of movable type printing advanced the already widespread use of woodblock printing to educate and amuse Confucian students and the masses. The application of new weapons employing the use of gunpowder enabled the Song to ward off its militant enemies—the Liao, Western Xia, and Jin with weapons such as cannons—until its collapse to the Mongol forces of Kublai Khan in the late 13th century. Notable advances in civil engineering, nautics, and metallurgy were made in Song China, as well as the introduction of the windmill to China during the thirteenth century. These advances, along with the introduction of paper-printed money, helped revolutionize and sustain the economy of the Song dynasty. Shen Kuo (Chinese: 沈括; 1031–1095) or Shen Gua, courtesy name Cunzhong (存中) and pseudonym Mengqi (now usually given as Mengxi) Weng (夢溪翁), was a Han Chinese polymathic scientist and statesman of the Song dynasty (960–1279). Excelling in many fields of study and statecraft, he was a mathematician, astronomer, meteorologist, geologist, zoologist, botanist, pharmacologist, agronomist, archaeologist, ethnographer, cartographer, encyclopedist, general, diplomat, hydraulic engineer, inventor, academy chancellor, finance minister, governmental state inspector, poet, and musician. He was the head official for the Bureau of Astronomy in the Song court, as well as an Assistant Minister of Imperial Hospitality. At court his political allegiance was to the Reformist faction known as the New Policies Group, headed by Chancellor Wang Anshi (1021–1085). In his Dream Pool Essays or Dream Torrent Essays (夢溪筆談; Mengxi Bitan) of 1088, Shen was the first to describe the magnetic needle compass, which would be used for navigation (first described in Europe by Alexander Neckam in 1187). Shen discovered the concept of true north in terms of magnetic declination towards the north pole, with experimentation of suspended magnetic needles and "the improved meridian determined by Shen's [astronomical] measurement of the distance between the pole star and true north". This was the decisive step in human history to make compasses more useful for navigation, and may have been a concept unknown in Europe for another four hundred years (evidence of German sundials made circa 1450 show markings similar to Chinese geomancer compasses in regard to declination).Alongside his colleague Wei Pu, Shen planned to map the orbital paths of the Moon and the planets in an intensive five-year project involving daily observations, yet this was thwarted by political opponents at court. To aid his work in astronomy, Shen Kuo made improved designs of the armillary sphere, gnomon, sighting tube, and invented a new type of inflow water clock. Shen Kuo devised a geological hypothesis for land formation (geomorphology), based upon findings of inland marine fossils, knowledge of soil erosion, and the deposition of silt. He also proposed a hypothesis of gradual climate change, after observing ancient petrified bamboos that were preserved underground in a dry northern habitat that would not support bamboo growth in his time. He was the first literary figure in China to mention the use of the drydock to repair boats suspended out of water, and also wrote of the effectiveness of the relatively new invention of the canal pound lock. Although Ibn al-Haytham (965–1039) was the first to describe camera obscura, Shen was the first in China to do so, several decades later. Shen wrote extensively about movable type printing invented by Bi Sheng (990–1051), and because of his written works the legacy of Bi Sheng and the modern understanding of the earliest movable type has been handed down to later generations. Following an old tradition in China, Shen created a raised-relief map while inspecting borderlands. His description of an ancient crossbow mechanism which he himself unearthed proved to be a Jacob's staff, a surveying tool which wasn't known in Europe until described by Levi ben Gerson in 1321. Shen Kuo wrote several other books besides the Dream Pool Essays, yet much of the writing in his other books has not survived. 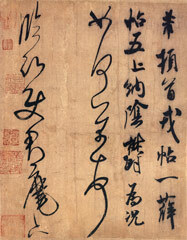 Some of Shen's poetry was preserved in posthumous written works. Although much of his focus was on technical and scientific issues, he had an interest in divination and the supernatural, the latter including his vivid description of unidentified flying objects from eyewitness testimony. He also wrote commentary on ancient Daoist and Confucian texts. Sima Guang (17 November 1019 – 11 October 1086), courtesy name Junshi, was a Chinese historian, writer, and politician. He was a high-ranking Song dynasty scholar-official and historian who authored the monumental history book Zizhi Tongjian. Sima was a political conservative who opposed Wang Anshi's reforms. Chinese society during the Song dynasty (960–1279) was marked by political and legal reforms, a philosophical revival of Confucianism, and the development of cities beyond administrative purposes into centers of trade, industry, and maritime commerce. The inhabitants of rural areas were mostly farmers, although some were also hunters, fishers, or government employees working in mines or the salt marshes. Conversely, shopkeepers, artisans, city guards, entertainers, laborers, and wealthy merchants lived in the county and provincial centers along with the Chinese gentry—a small, elite community of educated scholars and scholar-officials. As landholders and drafted government officials, the gentry considered themselves the leading members of society; gaining their cooperation and employment was essential for the county or provincial bureaucrat overburdened with official duties. In many ways, scholar-officials of the Song period differed from the more aristocratic scholar-officials of the Tang dynasty (618–907). Civil service examinations became the primary means of appointment to an official post as competitors vying for official degrees dramatically increased. Frequent disagreements amongst ministers of state on ideological and policy issues led to political strife and the rise of political factions. This undermined the marriage strategies of the professional elite, which broke apart as a social group and gave way to a multitude of families which provided sons for civil service. Confucian or Legalist scholars in ancient China—perhaps as far back as the late Zhou dynasty (c. 1046–256 BC)—categorized all socio-economic groups into four broad and hierarchical occupations (in descending order): the shi (scholars, or gentry), the nong (peasant farmers), the gong (artisans and craftsmen), and the shang (merchants). Wealthy landholders and officials possessed the resources to better prepare their sons for the civil service examinations, yet they were often rivaled in their power and wealth by merchants of the Song period. Merchants frequently colluded commercially and politically with officials, despite the fact that scholar-officials looked down on mercantile vocations as less respectable pursuits than farming or craftsmanship. The military also provided a means for advancement in Song society for those who became officers, even though soldiers were not highly respected members of society. Although certain domestic and familial duties were expected of women in Song society, they nonetheless enjoyed a wide range of social and legal rights in an otherwise patriarchal society. Women's improved rights to property came gradually with the increasing value of dowries offered by brides' families. Daoism and Buddhism were the dominant religions of China in the Song era, the latter deeply impacting many beliefs and principles of Neo-Confucianism throughout the dynasty. Ironically, Buddhism came under heavy criticism by staunch Confucian advocates and philosophers of the time. Older beliefs in ancient Chinese mythology, folk religion, and ancestor worship also played a large part in people's daily lives, as the Chinese believed that deities and ghosts of the spiritual realm frequently interacted with the living realm. The Song justice system was maintained by policing sheriffs, investigators, official coroners, and exam-drafted officials who became county magistrates. Song magistrates were encouraged to apply both their practical knowledge as well as the written law in making judicial decisions that would promote societal morality. Advancements in early forensic science, a greater emphasis on gathering credible evidence, and careful recording by clerks of autopsy reports and witness testimonies aided authorities in convicting criminals. The headwear of Song dynasty officials consisted of a black hat with two wing-like flaps. The thin flaps are stiff and straight, and could extend up to almost a meter each. The founder of the Song dynasty, Emperor Taizu of Song, designed this so that during assemblies, his officials would be kept apart by the flaps and would not whisper to each other. Song poetry refers to Classical Chinese poetry of or typical of the Song dynasty of China (960–1279). The dynasty was established by the Zhao family in China in 960 and lasted until 1279. Many of the best known Classical Chinese poems, popular also in translation, are from the Song dynasty poets, such as Su Shi (Dongpo), Ouyang Xiu, Lu You and Yang Wanli. This was also a time of great achievement in painting and literature, and many artists were accomplished in more than one of these, as well as often being government officials. Zhu Xi ([ʈʂú ɕí]; Chinese: 朱熹; October 18, 1130 – April 23, 1200), also known by his courtesy name Yuanhui (or Zhonghui), and self-titled Hui'an, was a Chinese philosopher, politician, and writer of the Song dynasty. He was a Confucian scholar who founded what later became known as the "learning of principle" or "rationalist" school (lixue 理學) and was the most influential Neo-Confucian in China. His contributions to Chinese philosophy including his editing of and commentaries to the Four Books, which later formed the curriculum of the civil service exam in Imperial China from 1313 to 1905; and his emphasis on the process of the "investigation of things" (gewu 格物) and mediation as a method for self cultivation. He has been described by scholar Edward Slingerland as the second most influential thinker in Chinese history, after Confucius himself.He was a scholar with a wide learning in the classics, commentaries, histories and other writings of his predecessors. In his lifetime he was able to serve multiple times as an government official, although he avoided public office for most of his adult life. He also wrote, compiled and edited almost a hundred books and corresponded with dozens of other scholars. He acted as a teacher to groups of students, many who chose to study under him for years. He built upon the teachings of the Cheng brothers and others; and further developed their metaphysical theories in regards to principle (li 理) and vital force (qi 氣). His followers recorded thousands of his conversations in writing.